Does your attic have enough insulation? Although this is a question you don’t think about on a day-to-day basis (and you may not be able to answer), it’s important when it comes to your home’s energy efficiency. Because the attic is one of the largest sources of heat loss, it’s one of the best places to insulate. 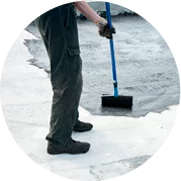 If you need attic insulation contractors in the Wheaton, Illinois area, look no further than ThermaSeal / Lakeside Insulation. 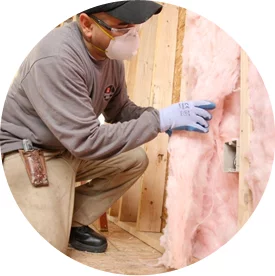 Our professionals have a lot of experience installing insulation in attics. So how do you know if your attic has enough insulation? One of the easiest ways to tell if you need more attic insulation is by poking your head up there and taking a quick look around. If you can see your floor joists (if the insulation is level with or below them), you probably need more insulation. Whatever your case, it’s a good idea to talk to a professional insulation company in the Wheaton area. For specifics—including the type of attic you have, how much insulation is already installed, and more—it’s best to talk to insulation professionals. Generally speaking, however, it’s important to insulate attic floors, knee walls (which are vertical walls with attic space directly behind them), etc. Attics are commonly insulated with loose-fill/blown-in cellulose and/or fiberglass insulation. To truly maximize energy efficiency, it’s important to also seal gaps, ducts, the attic hatch, etc. Insulating your attic offers a number of benefits in addition to energy savings. You can save a ton of money each year with the right amount of attic insulation—so although the upfront cost may seem high, remember that insulation pays for itself in the long run. 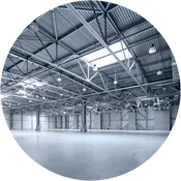 Need Insulation Contractors Serving Wheaton, Illinois? If you want to install more attic insulation in your Wheaton home, ThermaSeal / Lakeside Insulation is the only name you need to know! Contact us today if you want to learn more about our services or are ready to start your insulation installation project!